Imagine going to a gig in some club, standing in front of the stage as the band kick off, and then their sheer sonic force grabs a fistful of your shirt and slams you against the back wall. That, my friends, is what 1992 live album King King by LA band The Red Devils sounds like. No kidding – this is an animal of an album. with some rock’n’roll piano thrown into the mix their signature sound is laid bare. The following ‘Goin’ To The Church’ ups the tempo and the ante, with Butler testifyin’ away fit to bust in between stabs of harp that duel with lead guitar licks from Paul ‘Kid’ Size. Remember that bit of between songs chat on Deep Purple's Made In Japan, where Ian Gillan tells the sound man to make “everything louder than everything else”? All too often that would be a recipe for disaster, but the Red Devils don’t half make it work. Willie Dixon’s ‘She’s Dangerous’ is a classic stop-time riff affair in the manner of ‘Mannish Boy’, but sounds like Feelgood at their edgiest best, with Butler telling of a woman who’s “36-24-26, an’ gotta a big ol’ bag o’ tricks”. It sounds like they're just about keeping themselves in check, but then, just as Butler is letting rip on harp, Size weighs in underneath him with a descending riff, and – BAM, they find another gear. It's simple, but it's brilliant. On Billy Ray Arnold’s ‘I Wish You Would’ they do actually tone it down a tad, though as it actually ratchets the tempo up a notch with a Bo Diddley style beat from drummer Bill Bateman, it’s like keeping a hungry hound on a leash. They manage to keep the beast under control again on Sonny Boy Williamson’s (ie Rice Miller’s) melancholy ‘Cross Your Heart’, but it still has the fever of some early Zep blues wailing. 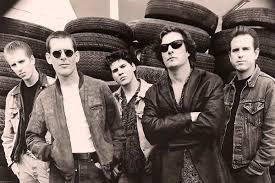 group-penned ‘Devil Woman’, which is simply magnificent. Stomping drums from Bateman dig the foundations for a ringing, repetitive guitar riff, leading to another wild guitar solo, and then when Butler takes a turn on harp they end up slamming their way to a finish with a flurry of combination punches. An album cover that scarcely hints at the mayhem within. Butler’s composition ‘No Fightin’’ sets off with a steady, throbbing rhythm, but if you think it’s time for a breather, think again. He takes off on a supercharged harp solo that elicits whoops of delight from the crowd. Size takes over on guitar and tries to outdo him, and then when he’s done – you find that steady rhythm from Bateman and bass player Johnny Ray Bartel has been lurking underneath all along. And not satisfied with that they take on the Wolf’s ‘Mr Highway Man’, and make absolute mincemeat of it. Butler seems to be busting a gut just to make himself heard over the battling guitars and rhythm section, till it grinds to a halt, as if the song itself is exhausted. And maybe they are too, because they tone it down to gale force proportions on ‘I’m Ready’ and Little Walter’s ‘Quarter To Twelve’, the latter a comparatively lazy instrumental in which the harp and guitar sound like a couple of world weary but still stoked and argumentative guys at last orders. And there’s still room for Butler to unleash a tension-filled repetitive harp blast that is entirely bonkers. The album closes with some boogie in the form of Junior Wells’ ‘Cut It Out’, evidently situated just before a break in their set, and a swinging piece of boogie on which they relax and let their hair hang down rather than attempting to do GBH to the audience. Aptly, Butler offers up a harp solo based on ‘The Last Post’. Do I sound breathless? You should hear Alan Nimmo on the subject. As a blues playing whippersnapper back in the 90s he saw them playing in Glasgow, and they made such an indelible impression that years later he named his band King King after this album. 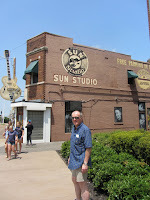 Talking to Blues Enthused recently, he recalled the experience of seeing them live as "just euphoric, it was tremendous!" Rick Rubin knew what he was doing when he signed this lot and decided on a live recording for their first album. And he deserves credit for managing to channel the raw power of their performance with his production. Mick Jagger had also stumbled over the Devils, and been well impressed, and no wonder – listening to this must have made him feel 18 again. So much so that he actually recorded with them, though next to nothing was released from the sessions – maybe he couldn’t keep up. Sadly though, King King was to be the high watermark of the Red Devils’ recording career. Lester Butler was a guy with drug problems, and an attempted second album yielded only the four-song Blackwater Roll EP. It wasn’t long before they fell apart, and though Butler formed another band called 13 that released an eponymous album, by 1998 he was dead of a heroin overdose, at the age of 38. Surviving Red Devils have reformed from time to time, most recently this year to play in Europe with Dutchman Big Pete fronting them. But King King still stands as their real testament – live and exceedingly dangerous. 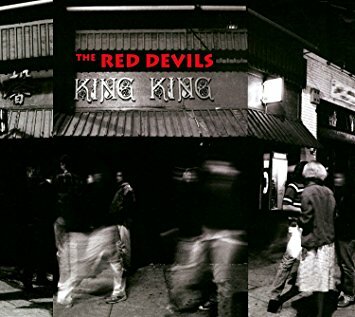 King King by The Red Devils is available on Amazon. There's an extra shot of The Red Devils playing at King King on Youtube - very raw footage of them performing 'Shake Your Hips'/'Who Do You Love'. Listened to lately . . .